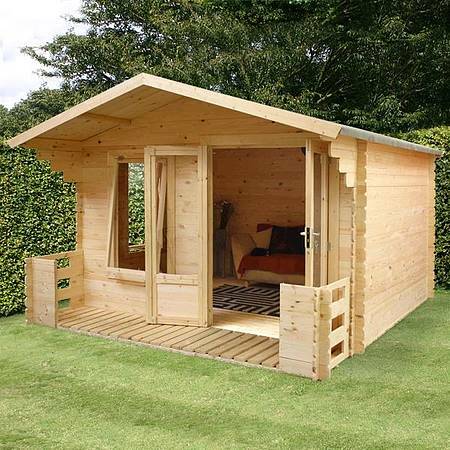 Integrate your outbuilding into the surrounding landscape. 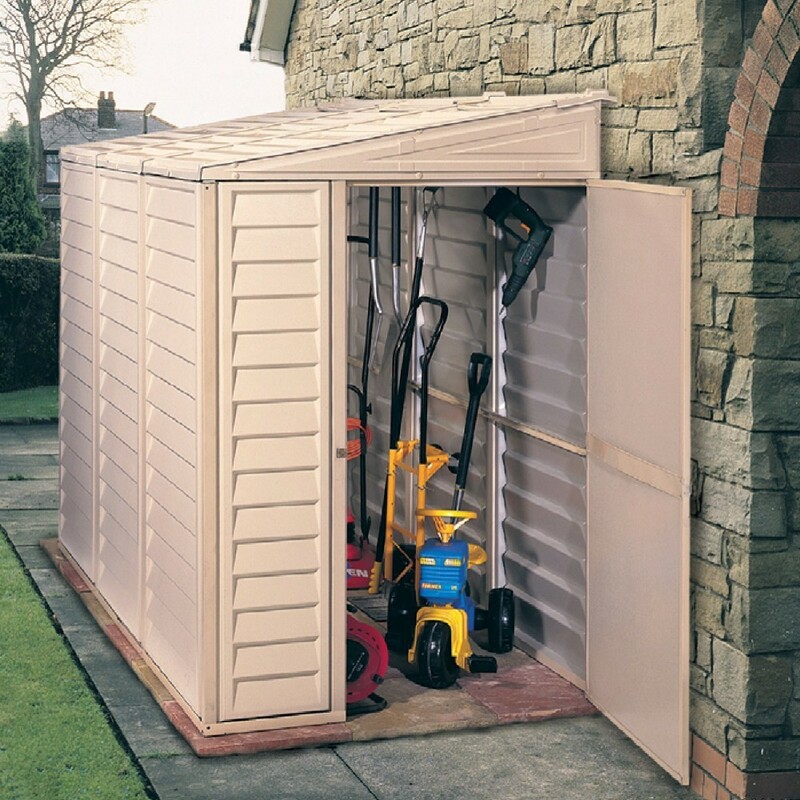 Plants can help outdoor storage sheds blend into a landscape, rather than sticking out like sore thumbs. Open up and plant annual or perennial beds around your unit. You can also install trellises up against the walls of outdoor storage sheds and adorn the walls with vines. Natural wood is considered by many the most attractive siding for storage units. But wood exposed over time to water usually rots. Some woods, however, contain natural resins that make them relatively rot-resistant. Cedar is such a wood and very popular as a siding choice for storage units. But even cedar siding is not maintenance-free. Coat cedar with a UV-inhibiting sealer/preservative every other year to protect it from ultraviolet solar radiation. Apply a clear stain, as well, to help preserve its natural beauty. For maintenance-free storage units, vinyl is the preferred siding. Vinyl lacks the visual appeal of wood, but if you own a house with vinyl siding, a strong argument can be made for selecting a storage unit that is also sided with vinyl. Before installing storage units, lay down cinder blocks, concrete piers, a concrete slab or at least crushed stone. But don’t stop there. Make sure the supports underlying the floor are made of pressure-treated wood. The small touches make such a difference! Some outdoor storage buildings come with French doors or cupolas. You yourself can add touches such as window boxes, shutters or weathervanes. Remember, you?ll have to look at this outdoor storage building every day of your life for the foreseeable future: your attention to detail could make the difference between eyesore and eye-opener. On a more practical note, purchase or build a pressure-treated ramp for easy access to your outdoor storage building.